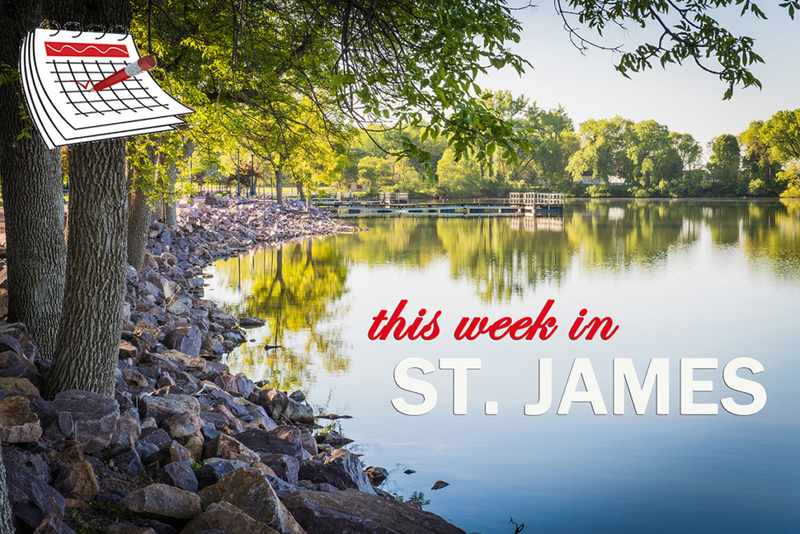 This week in St. James Monday is Storytime and Craft at the St. James Library at 5:30 p.m. Drive with Ford on Wednesday at Godahl Community Building from 2p.m. – 7 p.m. Thursday Free Community Meal from 4:30 p.m. – 6 p.m. at First Lutheran Church, Hamburger Night at the VFW from 5 p.m. to 7:30 p.m. and Novels by Night book club at the St. James Library at 7 p.m. Friday Flicks at the St. James Library at 1 p.m. Sunday the Jeff Durheim Benefit is from 11 a.m. to 1:30 p.m. at the American Legion. Check out the Community Calendar for details on these and other upcoming events!